Panda Magic Online Video Slot is 5 reel, 1024 payline slot powered by RTG. Magic happens with the help of symbols such as the wizard’s hat, a mushroom, an owl, a Chinese castle, a crystal ball and, of course, a book of spells. 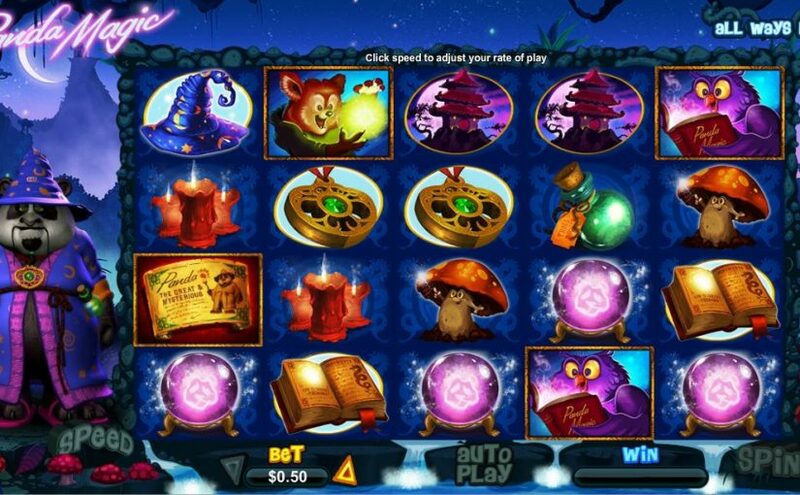 Whenever the scatter Magic Ticker appears you’ll be awarded free spins that go as high as 30 with prizes multiplied times two. During the free spins round, the “More Magic” feature can be triggered when 3 or more of the Panda Magic symbols are landed. Additional Wilds will come into play producing even more magical wins!